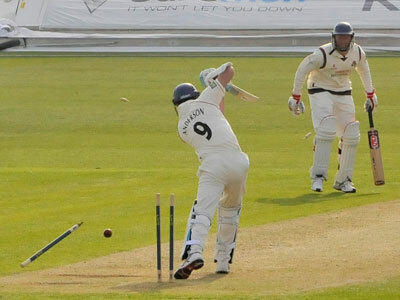 Chilton was next in the collapse - about to be caught by Bell off Carter for 3. 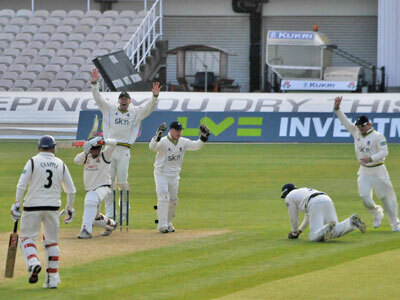 14 for 4 - we all wondered whether the game would be all over in a day! 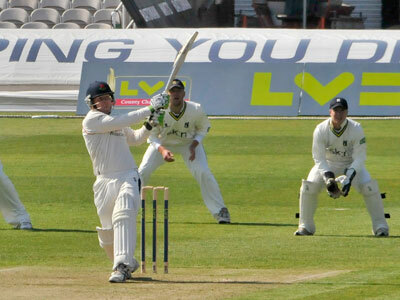 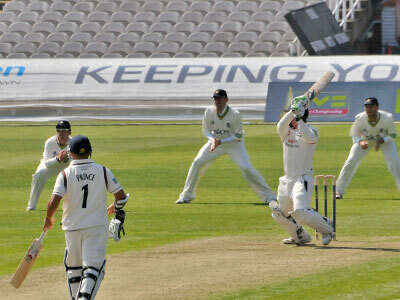 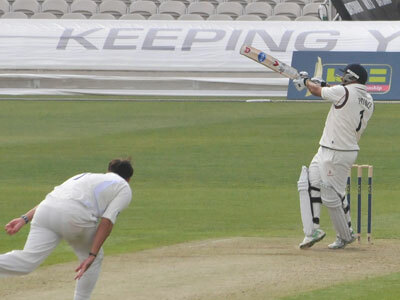 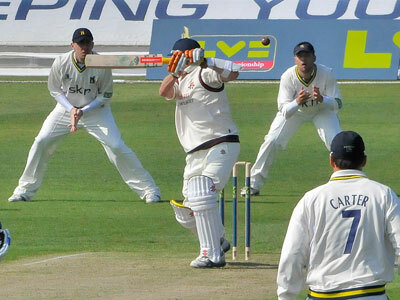 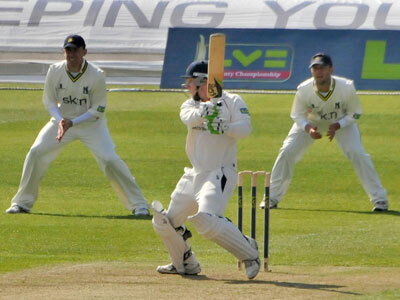 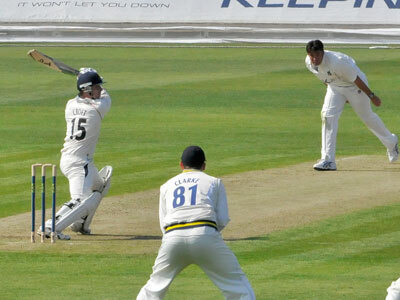 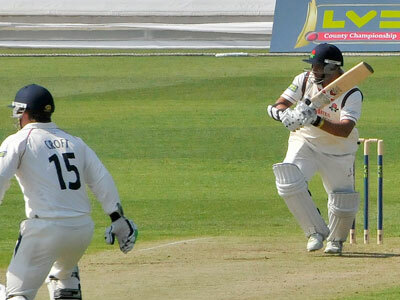 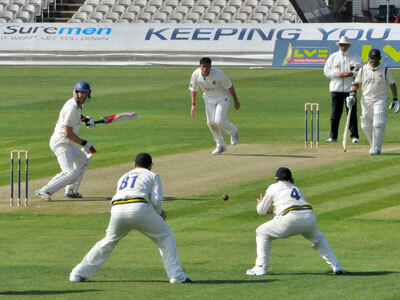 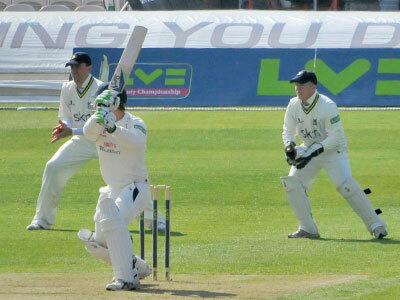 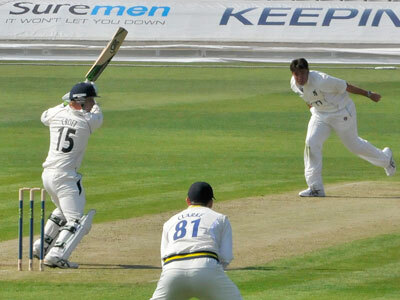 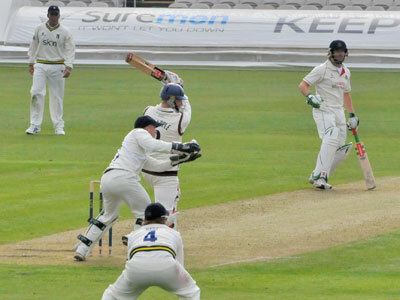 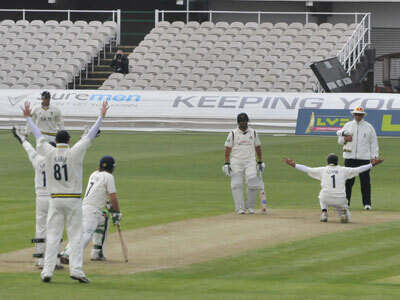 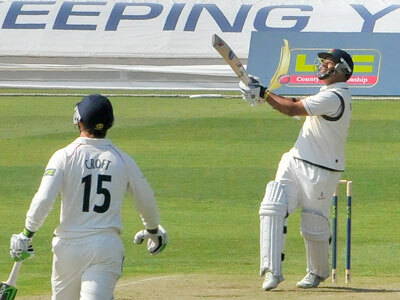 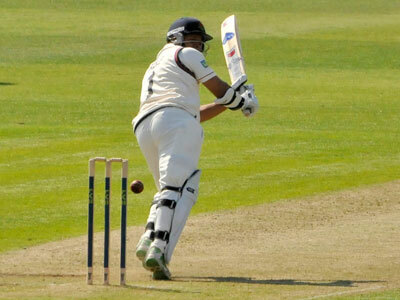 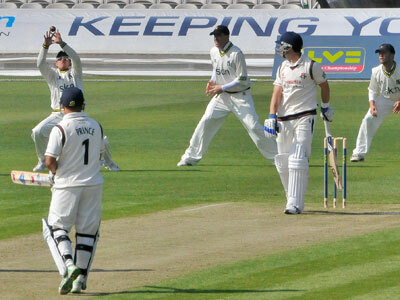 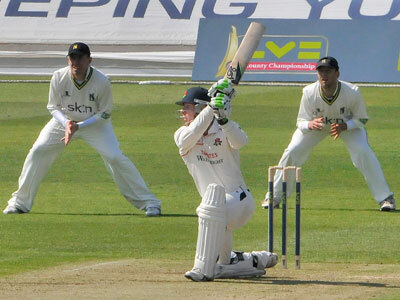 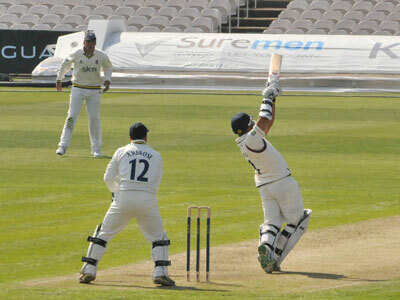 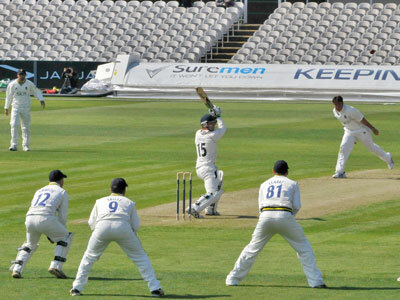 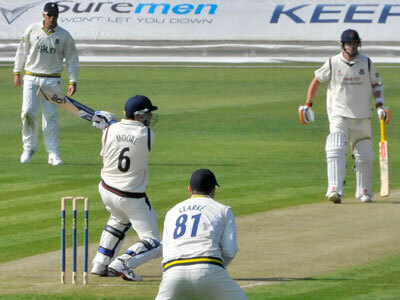 At close of play Warwickshire had lost one wicket for 13 in rely to Lancashire's total of 253. 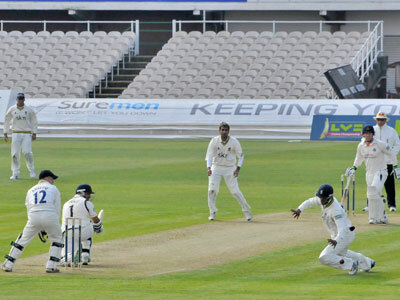 Considering Lancashire were once 13 for 4 this was a remarkable recovery which wa due to the efforts of Prince 82, Croft 64, Chapple 54 and Sutton 33 the only batsmen able to reach double figures. 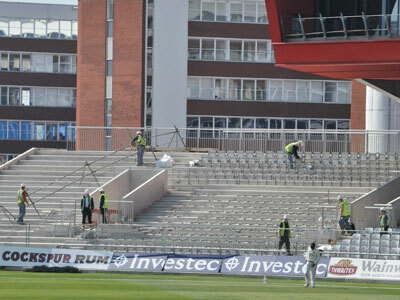 However main topic of conversation in the early stages was the increase in the cost of car parking for non members and the chaos surrounding the purchase of day tickets with the closure of the payment booth near the pavilion.